Social initiations, interacting with others, expressing emotions, and following directions are a few of many social skills. These skills, which are an integral part of a child`s development allow us to learn how to live with others and adapt to different situations in life. Social skills need to be learned through interactions with others. They encompass many components of development, such as communication, emotional regulation, assertiveness, conflict resolution, collaboration, cooperation, planning skills, and stress management. A child first begins to develop his or her social skills with their family. This means that parents are in the best position to help the child develop these skills. 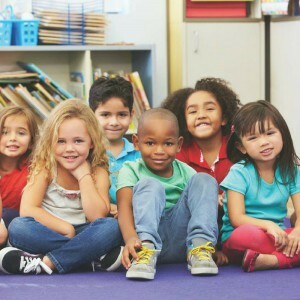 In this post, you will see the main social skills that should be established between the ages of 0 to 5 years old, as well as some daily activities that will help stimulate the development of these skills. From the first weeks of life, a baby interacts with his or her environment. He or she responds to smiles, looks in their parents` direction, and even starts to imitate and reach out to people. The attachment to the parent is an essential foundation for the development of social skills and will influence how the child engages socially with others. Social Interactions: Play games like peek-a-boo and tickling. Social Reciprocity: In daily interactions with your child, take opportunities to speak to them, and when he or she smiles or babbles, smile and babble back! Forming Attachments: Create a secure connection to your child by responding quickly to their needs. At this age, a baby doesn`t have any other way to communicate other than by sounds, smiling, and crying, so understand that these sounds are their form of expressing their needs, and react accordingly. Between 1 and 2 years old, a child begins to develop the ability to interact with others and can be taught to communicate using sign language (such as the signs for hello, goodbye, thank-you, and more). When playing with other children their own age they use parallel play to entertain themselves. A child`s observation skills are improving at this age, as well as the ability to imitate behaviours around them. With regards to emotional development, children of this age begin to react to the emotions of others. Parents should help their child develop their communication skills as well as recognize and express their feelings. Sign language: Teach your child some signs that he or she could use to communicate his or her needs. Eye contact: Prompt the child to look into your eyes when communicating. Recognizing emotions: Name the emotions that he or she is feeling, making sure to use simple words and acknowledge the cause. Use fun materials such as posters, a colouring book or books! Emotional regulation: Teach your child ways to help with emotional regulation that are suitable for this age, such as breathing, cuddling with a comfort object, or taking some time to calm down in a quiet spot. Social activities: Find opportunities where your child will come into contact with other children, such as play dates, going to the park, or signing them up for an activity. Imitation: Lead by example! Show the child proper social skills by demonstrating them yourself. Greet people warmly, smile, share with others, follow instructions. 2 to 3 years old – Understanding the emotions of others, developing patience, and sharing! is important to teach the child to pay attention to the emotions of others. Social interactions: Help your child initiate social interactions with other children. Communication: Help your child learn how to make requests from other children. E.g., `You want to play with the truck? Let`s go ask the boy if you can borrow it`, and then take his or her hand and approach the child together. Learning to share: Choose activities that provide opportunities to share, such as interactive games, or bringing a big snack to share with other children. Waiting for his or her turn: Play games that require your child to wait for his or her turn, or contrive situations where they have to wait (e.g. board games, going down the slide at the park). Emotional regulation: Read simple stories and ask your child about the emotions being displayed by the characters. You can use visual aids like a poster or calming activity cards. Collaborate with your child`s teacher: Your child`s teacher is your eyes and ears on your child`s day. A good line of communication will assure that you`re both on the same page about stimulating your child`s social development. Between the ages of 3 and 4 years old, a child is capable of sharing, making compromises, understanding the rules of a simple game, and following instructions given by an adult. When it comes to emotions, a child is better at understanding and managing his or her own emotions. However, these skills are still developing so some patience is still needed! As social interactions with others are increasing and becoming more complicated, your child is at a stage where he or she must learn conflict resolution skills to preserve peaceful relationships with others. Developing this complex skill will need some help from adults. Good listening: Teach your child good listening skills, such as maintaining eye contact, listening when others are speaking and not interrupting. Social interactions: Use video modelling to teach social skills in different situations, which has been shown by research to help in the development of social skills. You can either make your own videos or use characters in cartoons displaying good social interactions as samples. 3) Think about the situation: why did the conflict happen? 5) Come up with potential solutions and choose the best one. Emotional regulation: Use fun materials such as emotion flashcards! The acquisition of these skills helps children advance to the next step in social interactions, where they begin to develop their assertiveness and make choices, two essential skills in developing self-esteem! Also at this age comes a common preoccupation: nervousness around making friends. Self-esteem: At home, give your child simple tasks to do to help build their confidence. Assertiveness: Enroll your child in activities that will allow them to develop the ability to define their interests. Activities will also give them opportunities to make contact with other children and navigate social situations. Social interactions: If your child becomes anxious in different social situations, you can practice using role play to help him or her know how to react. For example, practice what to say if another child asks him or her to play. Teacher-Parent Collaboration: Maintaining good communication with your child`s teacher is an excellent way to make sure that you`re on the same page about how best to guide your child through challenging social situations.